Daniel Halvorsen is a Mortgage Banker at Bank of England Mortgage. He specializes in residential lending. His primary objective is to develop referral partnerships with those most heavily involved in our local real estate market. These partnerships help make home-buying process enjoyable and memorable for his clients. 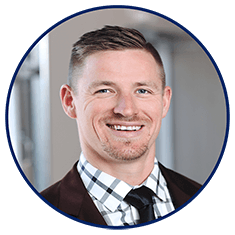 He earned his Bachelor's degree from Jacksonville University with a background in finance and economics, which helped his understanding of our local real estate market and mortgage industry as a whole. Him and his wife, Amy, are residents of Atlantic Beach, and outside of the office you can find them soaking up the sunshine on the beach with their two dogs. He could not dream of a better place to call home!